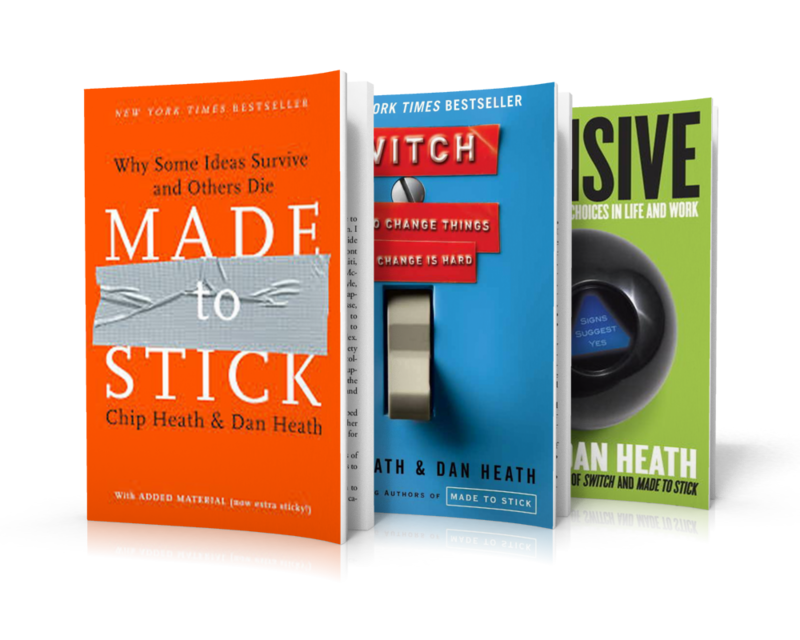 Dan and his brother Chip, are best-selling authors of four books: Decisive, Switch, Made to Stick, and their latest, The Power of Moments. All four are New York Times bestsellers, and all four have earned Amazon ratings of at least 4.6 out of 5.0 (across 2,600 reviews). The Heath Brothers’ books have been translated into over 30 languages. Previously, Dan worked as a researcher and case writer for Harvard Business School. In 1997, Dan co-founded an innovative publishing company called Thinkwell, which continues to produce a radically reinvented line of college textbooks.